Submitted by Tim Schmanski on Sun, 2010-08-08 23:00. We also held a gathering at the cemetery for many friends and family. 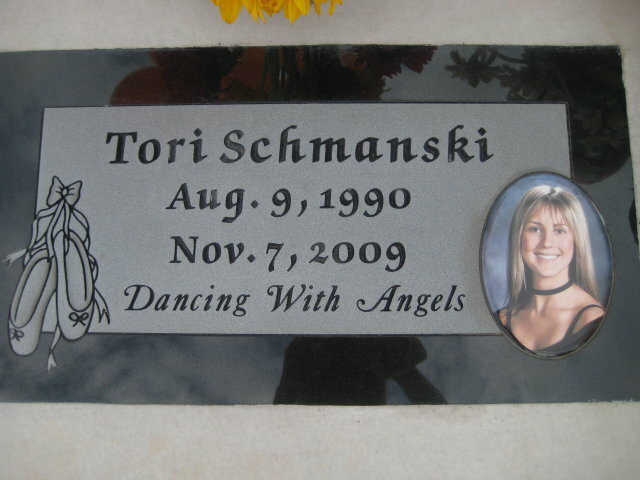 Please add Tori Schmanski as a Facebook friend to view many of the pictures. I will also post some on the Pray 4 Tori site. as well. Thank you for checking in on Tori and our family.